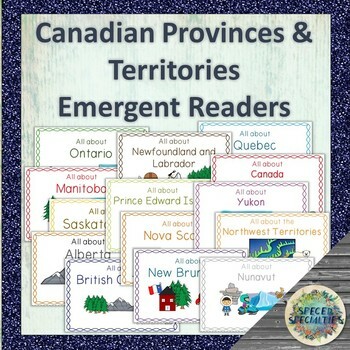 14 easy-to-read non-fiction emergent readers are included here, one for each of Canada's provinces/territories as well as the country of Canada. 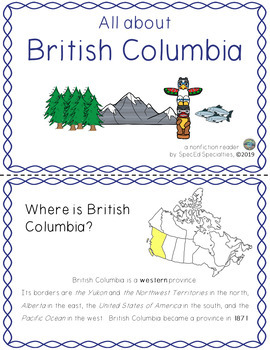 Each emergent reader provides key information such as climate, natural resources, symbols, population, and capital city in simplified language. These books are perfect for use in the regular and special education classrooms, for integrated social studies and language programs, guided reading, early learners, and more! 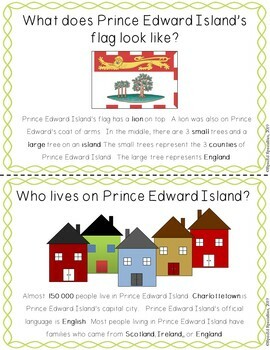 What does <province/territory>'s flag look like? What’s the weather like in <province/territory>? What’s the land like in <province/territory>? 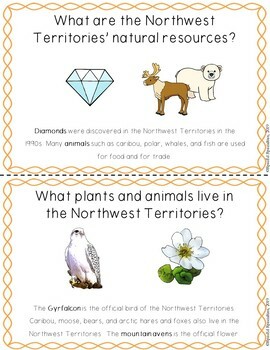 What are <province/territory>'s natural resources? What plants and animals live in <province/territory>? What else is special about <province/territory>?